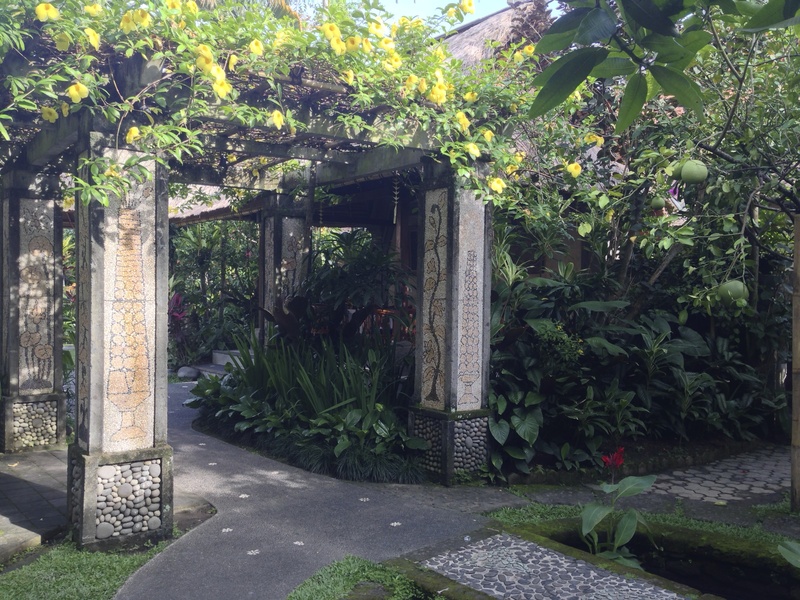 “Cheap” is in parentheses, because it’s not something you have to search for in Ubud. 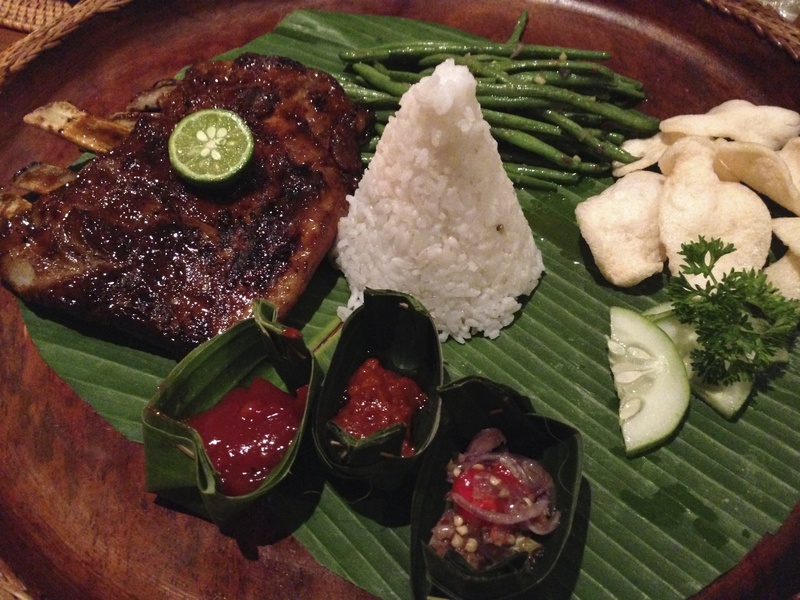 You can easily find meals in the $5-10 range, and you don’t have to sacrifice on ambiance. 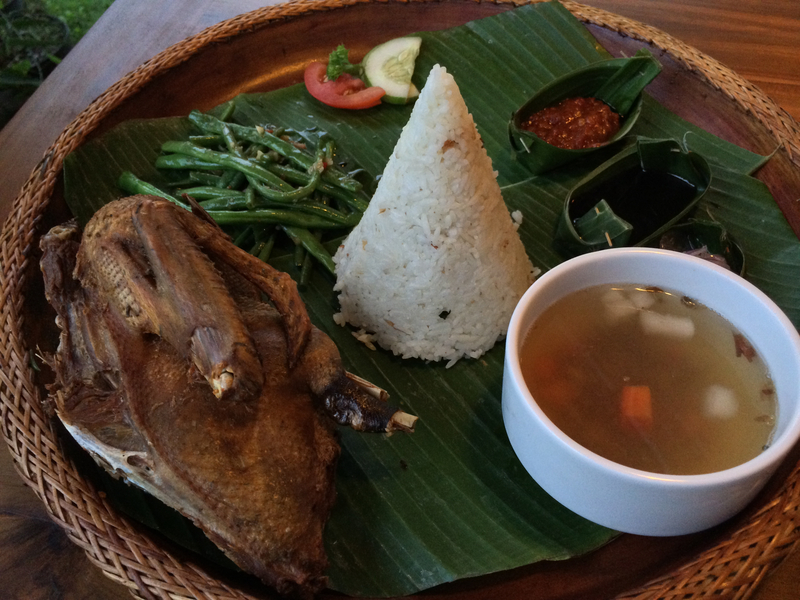 Some of our best meals in Ubud were under $20 total for two people, at a place that could have been a four-star resort in the States. 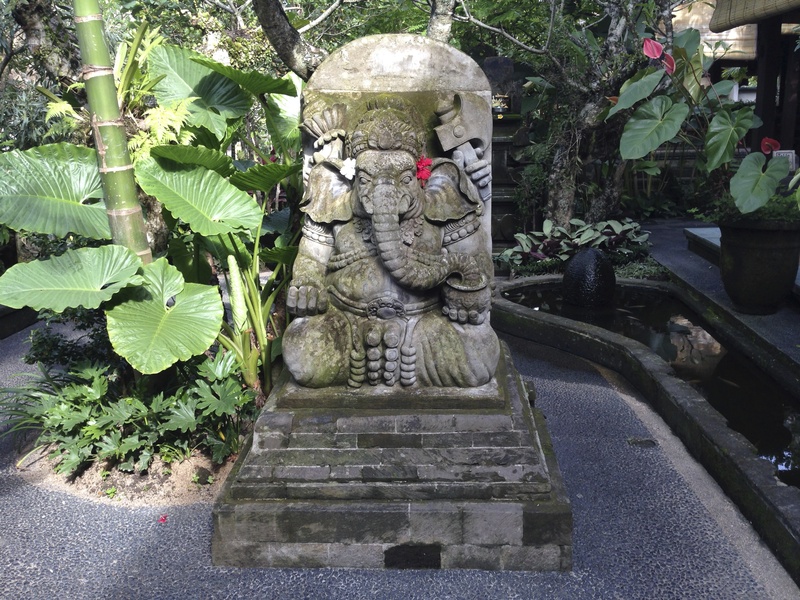 We spent about a month in Ubud at a hotel – that means, no kitchen – so we must have eaten out at at least 30 different restaurants. 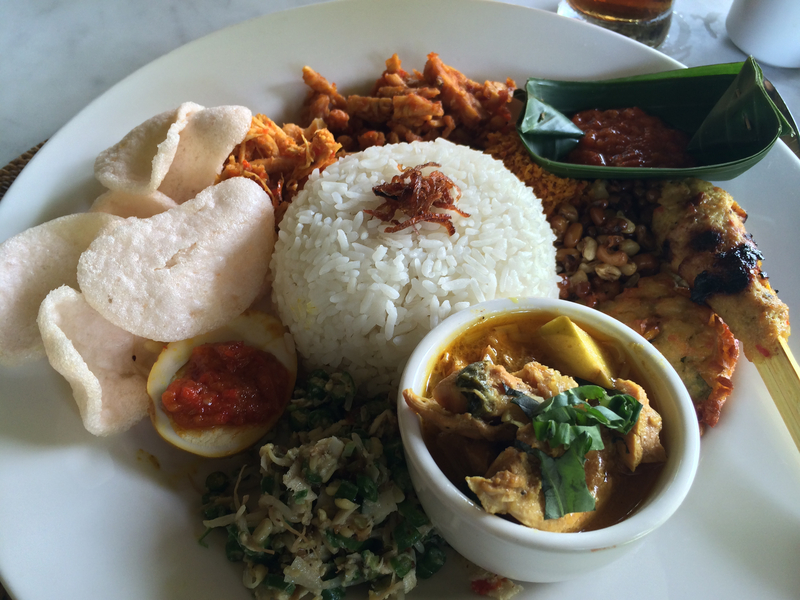 Here are the top six – all of which feature delicious, cheap food in a beautiful setting. 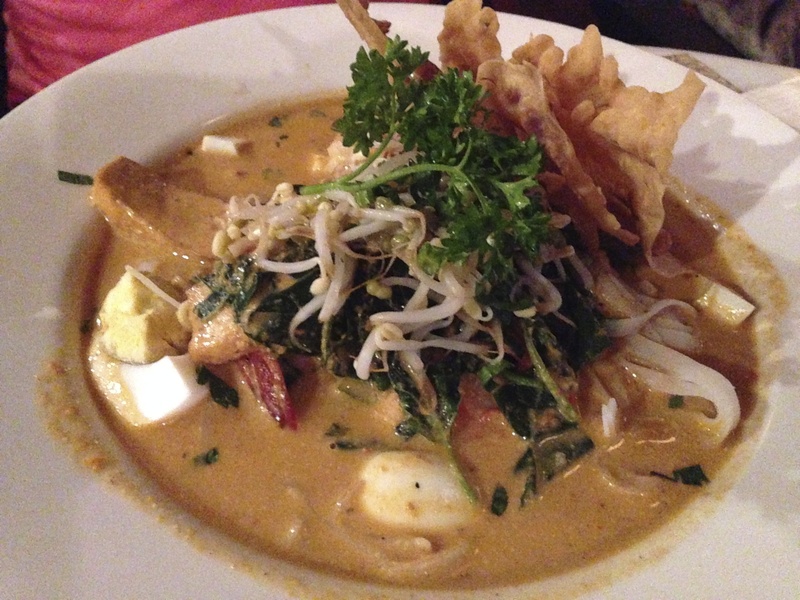 Siam Sally is a Thai restaurant with a range of traditional dishes. 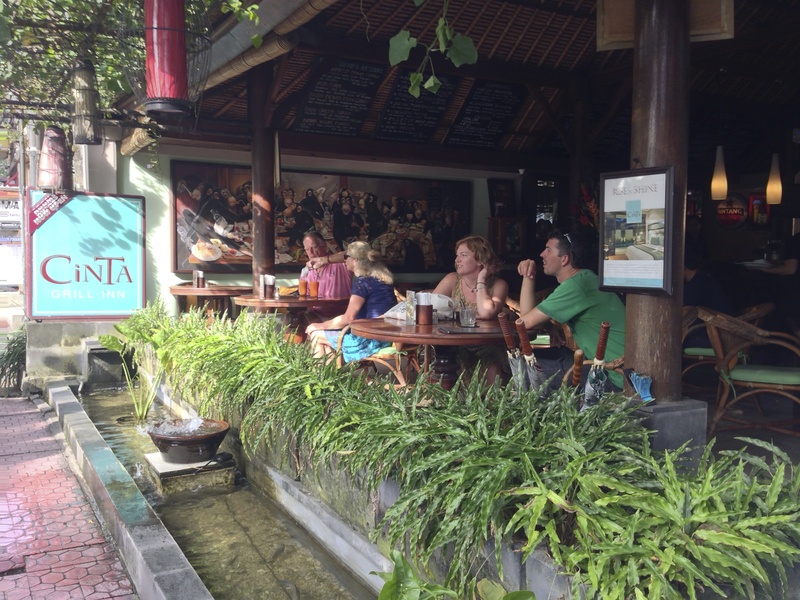 We went there twice on Thursday nights to hear the Cool Tone Blues band, our favorite in Ubud. 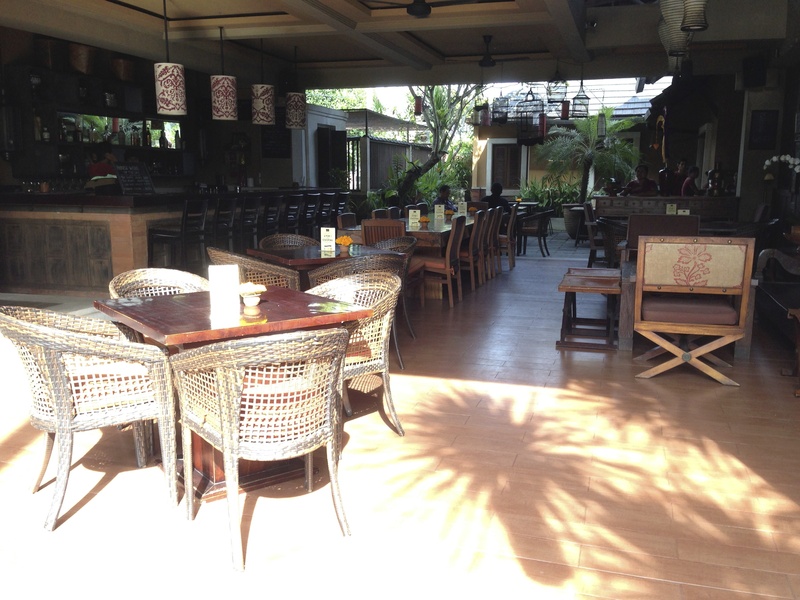 It’s a two-floor, open air restaurant with lanterns, wicker chairs, and a friendly staff who enjoys grooving to the music. 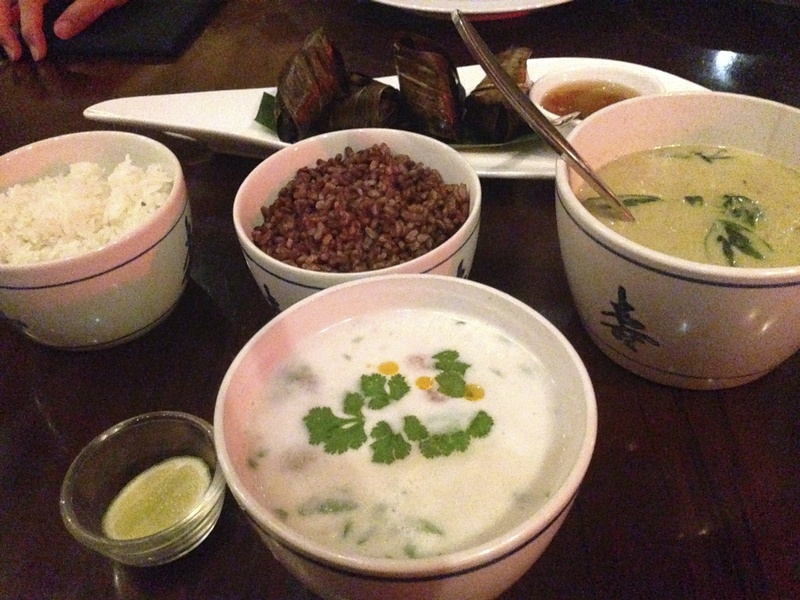 Although I’m not vegetarian, I enjoyed the creamy vegan green curry with eggplant and sweet potato, and a nice and sour tom kha gai soup (both with enough coconut to satisfy my obsession). 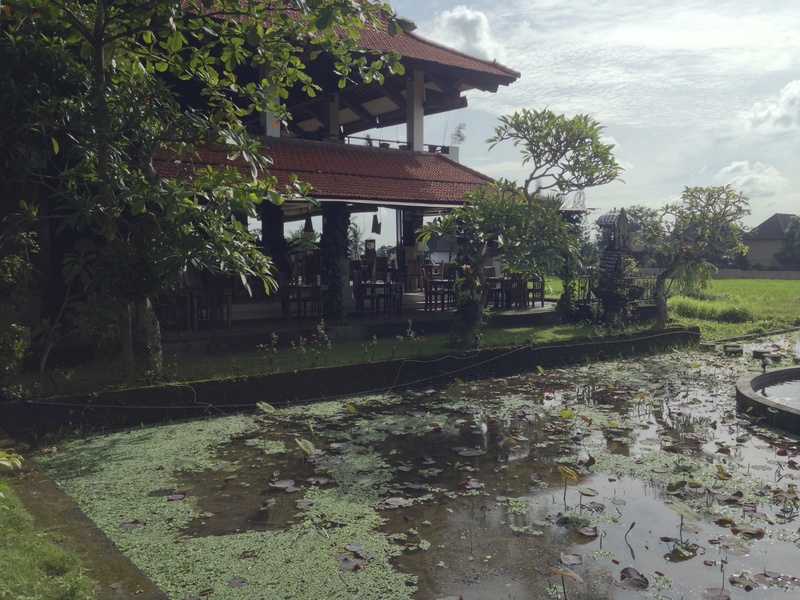 The Pond is an Indonesian restaurant overlooking (you guessed it) a pond, as well as some open ricefields. 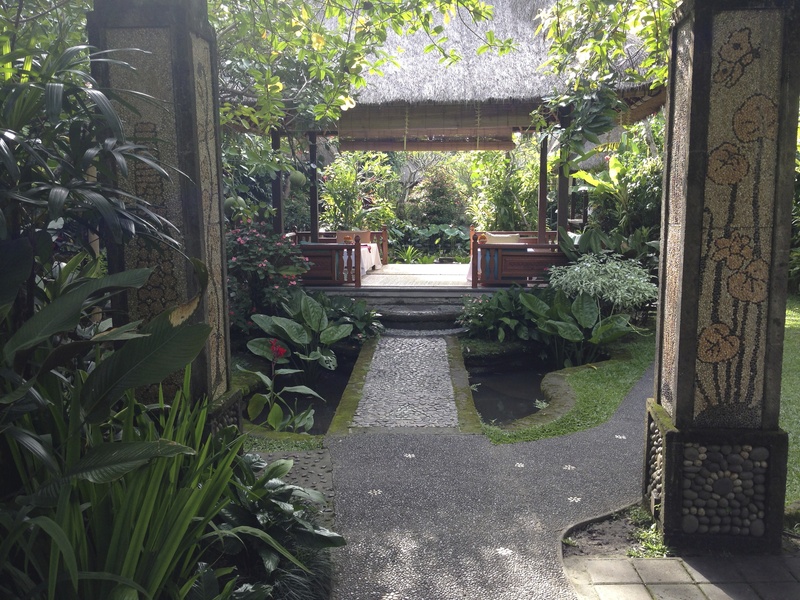 They serve up a large menu of Indonesian and Western dishes in an open-air setting (they’ll happily grab you a mosquito coil if you ask). 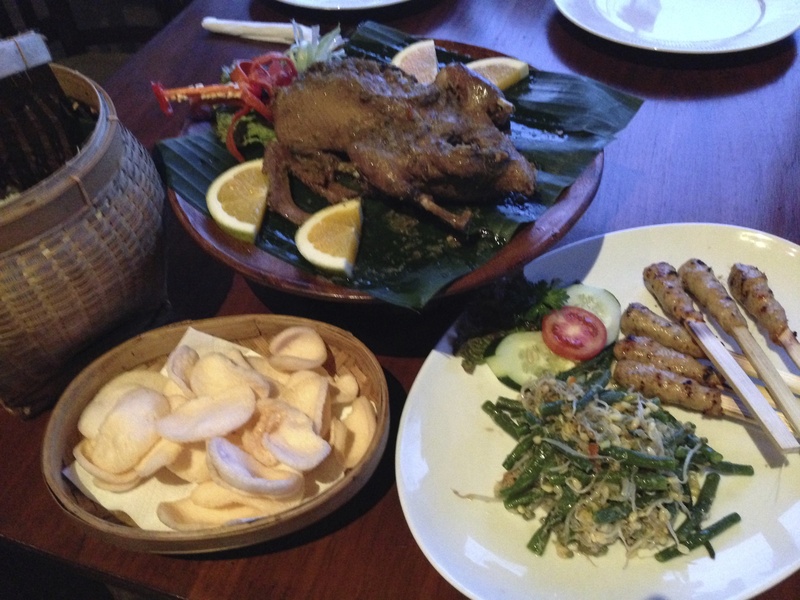 I thoroughly enjoyed the laksa – skip the tofu, it tastes odd – the crispy duck (possibly the best in Ubud), and the ribs (with a spritz of lime, of course). 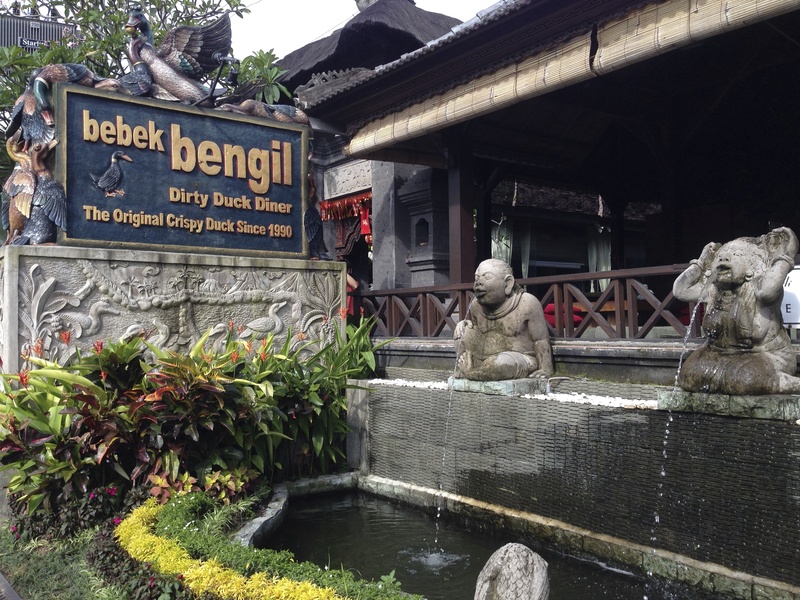 Bebek Bengil is where you go to have duck in all its incarnations. We ordered 24 hours in advance and were quickly served up a huge plate complete with duck, vegetables, chicken skewers, crackers, and a fruit smoothie on the side. 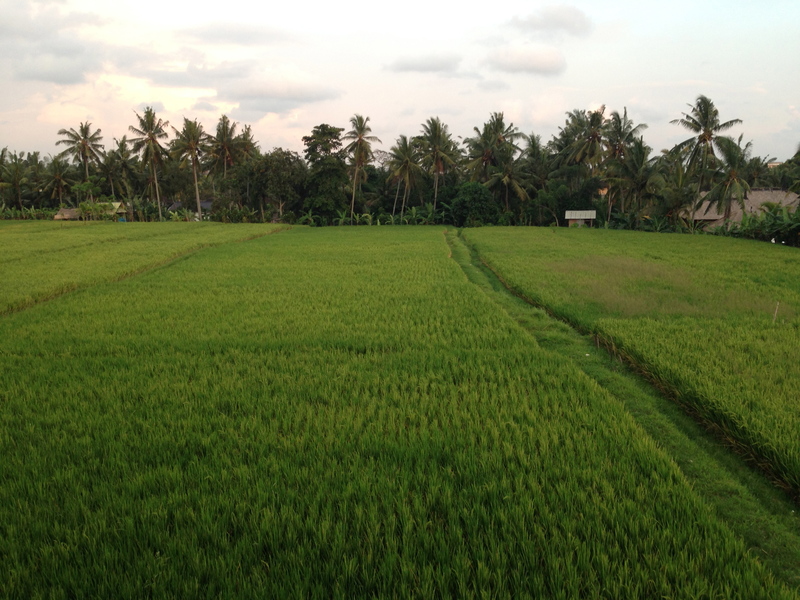 The place is enormous, with a bunch of different seating pavilions with gardens in between, and we ended up on a second-floor table overlooking the ricefields. 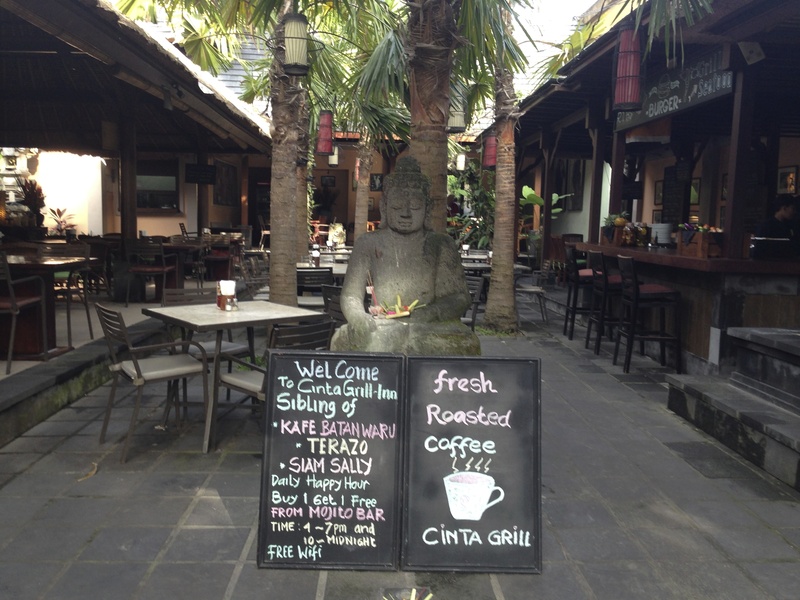 Café Wayan is famous for being mentioned in Eat, Pray, Love, but we didn’t realize that when we arrived. 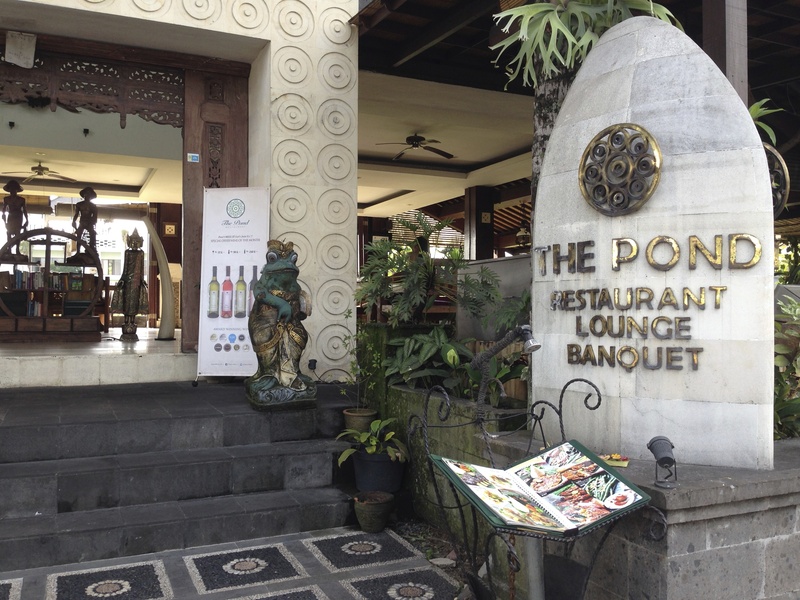 We just saw a beautiful, huge restaurant – it extends far back from the street in little pavilions intermixed with lush gardens and exotic statues. 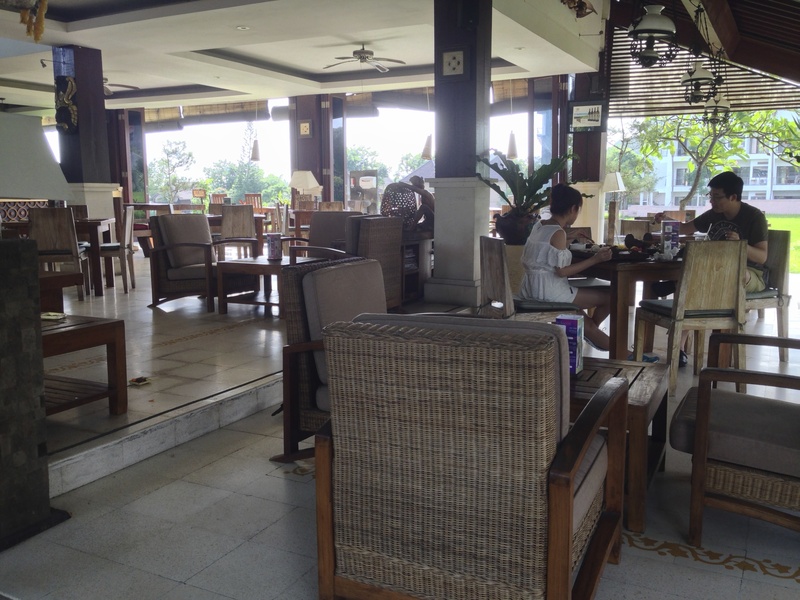 The Sunday buffet was a huge spread including curry, satay skewers, vegetables, fruit, and dessert. After you think you’re done, they bring you a bowl of creamy vanilla ice cream. 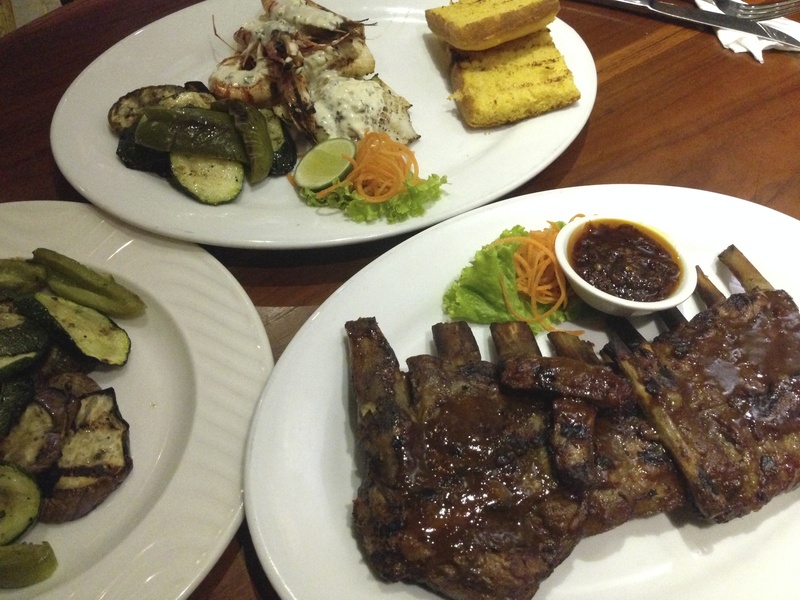 Cinta specializes in grilled foods, from finger-licking ribs to buttery seafood. 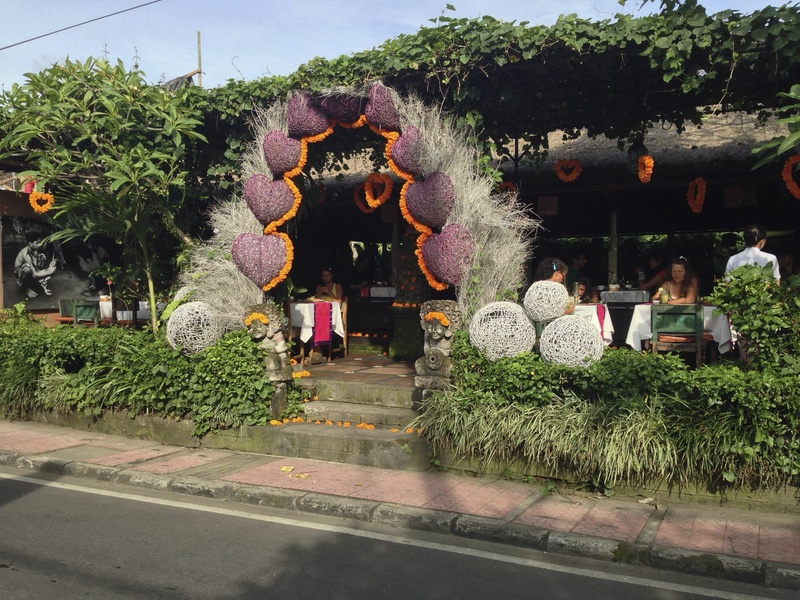 Before our food arrived, the owner came and started telling us the story of Bali’s volcano, Mount Agung. 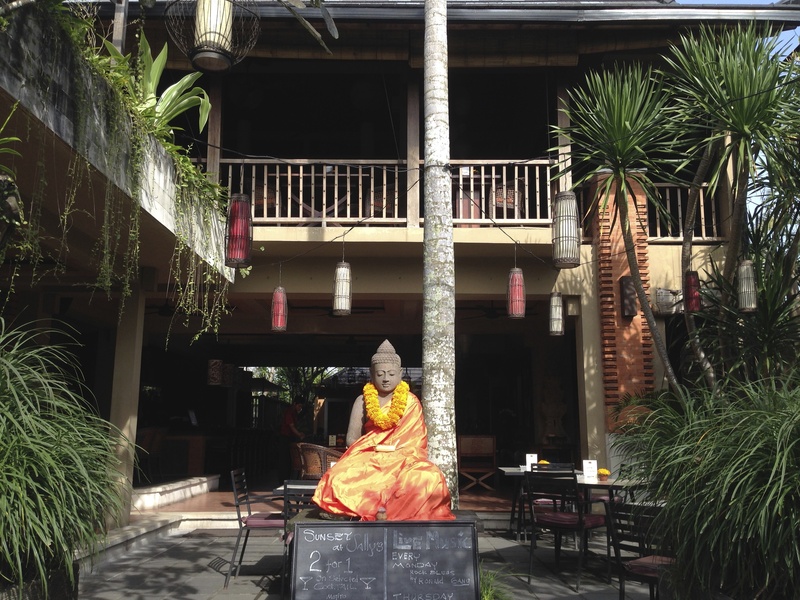 A serene Buddha statue welcomes you in, something you’ll see at many Ubud restaurants. 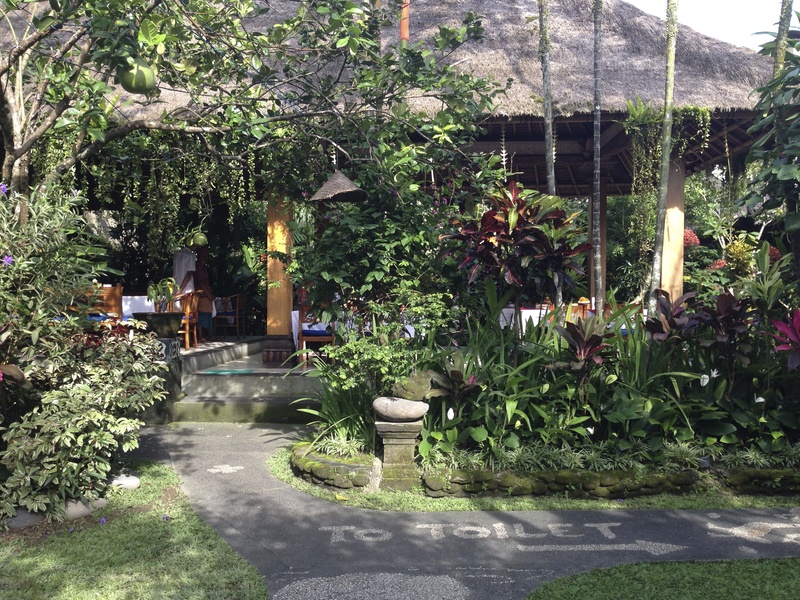 Another open-air restaurant, Ibu Rai is enchanting at night with its beautiful spherical lanterns out front. 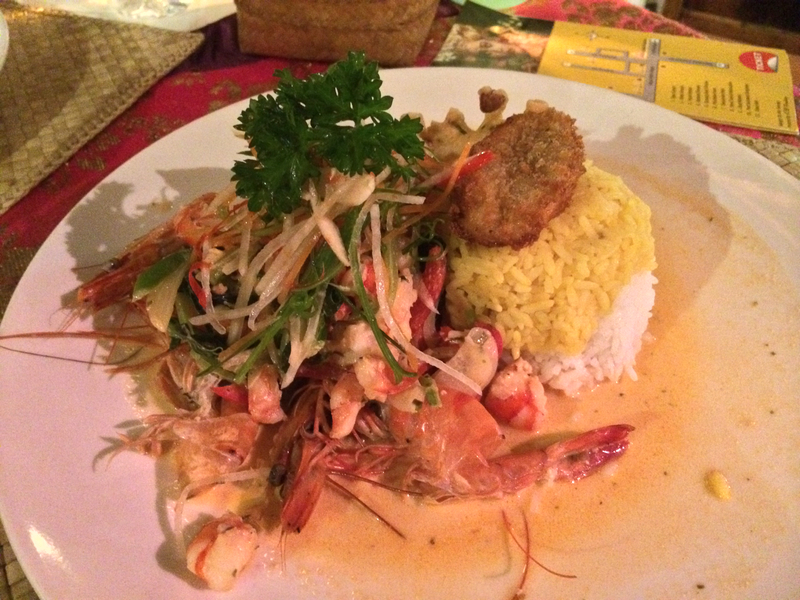 This is probably the smallest restaurant on the list, but the food might be the best – the quality is gourmet, with touches of spices and sauces that elevate it to another level.